This marks the fourth week with our moleskin sketchbook! 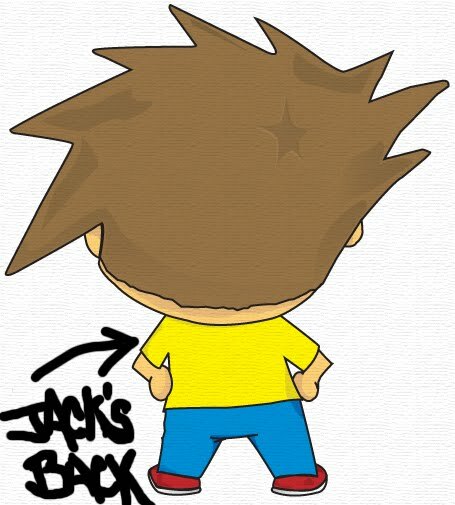 We started preparing for a craft show that's in a couple of weeks so we didn't have a ton of time for sketching this week but we were able to draw Jack's back. For those of you who had a chance to check out our October newsletter, we announced that we have decided to give our sketchbook a comicbook look! We'll be giving a weekly update on the project here on our blog as well as posting progress photos on our Arthouse Co-op page. If you're participating in the Sketchbook Project please let us know as we would love to follow your progress as well!